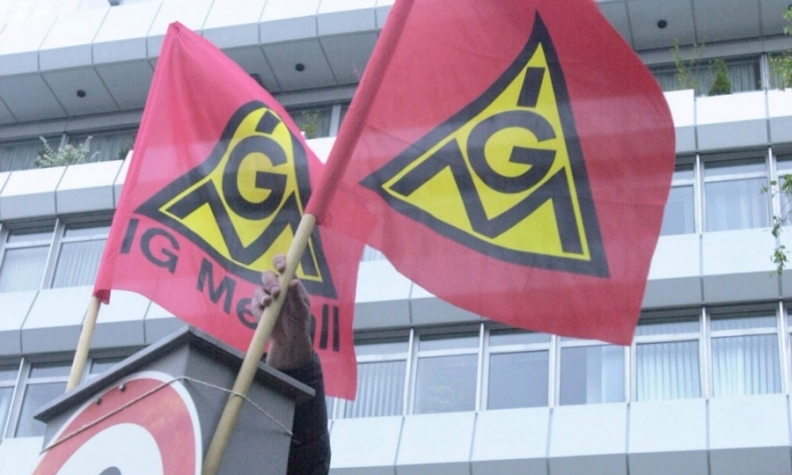 BOEBLINGEN, Germany (Reuters) -- Germany's biggest trade union, IG Metall, today accepted a 3.4 percent wage increase for the country's southwest region, home to carmakers Daimler and Porsche. The union, which represents 3.7 million workers, had called for a 5.5 percent wage increase for 2015, saying solid growth justified their demand. Employers had previously offered a pay increase of 2.2 percent from March 1. Deals agreed in the pilot region traditionally serve as a template for agreements across Germany. Employer association Suedwestmetall president Stefan Wolf said the deal was painful for companies. "This is, by a wide margin, the biggest real wage increase for years," Wolf said. The union had staged a series of token strikes in the last month to back their pay demand. On Monday, about 100,000 workers took part in warning strikes at 480 plants - mainly in the southwestern state of Baden-Wuerttemberg, the union said. The new wage increase is more than three times above Germany's inflation rate, which stood at 0.9 percent in 2014. The metalworkers union also agreed with the Suedwestmetall employers association to a one-off payment of 150 euros plus part-time conditions for older workers and job-related training for employees in Baden-Wuerttemberg, an industrial and carmaking hub that is also home to supplier Robert Bosch. Roman Zitzelsberger, head of IG Metall's Baden-Wuerttemberg branch said the deal, achieved after marathon negotiations which ran through Monday night, was a "satisfactory compromise." The agreement meant employees were benefiting from company profits and would have more money in their pockets. "This deal guarantees that the most important engine of the economy at the moment, private consumption, will continue to perform at a high level," Zitzelsberger said.